Who decides who teaches what, to who and how? This is not a new question. There is much debate around the prescriptive nature of the qualification frameworks, the impact of the EBACC on other areas of education, the expansion of exclusive education and calls for teachers – not politicians – to set the education agenda. There are so many players seeking to influence what is taught and many more involved in delivering our children’s education. And as hard as it may be for some to accept, and as we explored in our previous blog It Takes a Village, the reality is probably that society has a collective responsibility for education. Parking the actual ‘what, to who and how’ question for now here I’d like to highlight a potential parallel from another area of public service, the Police, from which education might be able to learn. Don’t worry, this is not a classroom behaviour blog, although from my work with the police and Dfuse I think there are some interesting things to learn in this field too. What I am suggesting though is that we learn from the founding principles of the British Police, a model which has since its first use in 1829, has been adopted for law enforcement across the world. Modern day Policing began with the Peelian Principles. They were first put into a list for the London Metropolitan Police by Sir Robert Peel. Whist the Police is an agent of Government, the Peelian Principles ensure that policing is citizen based. 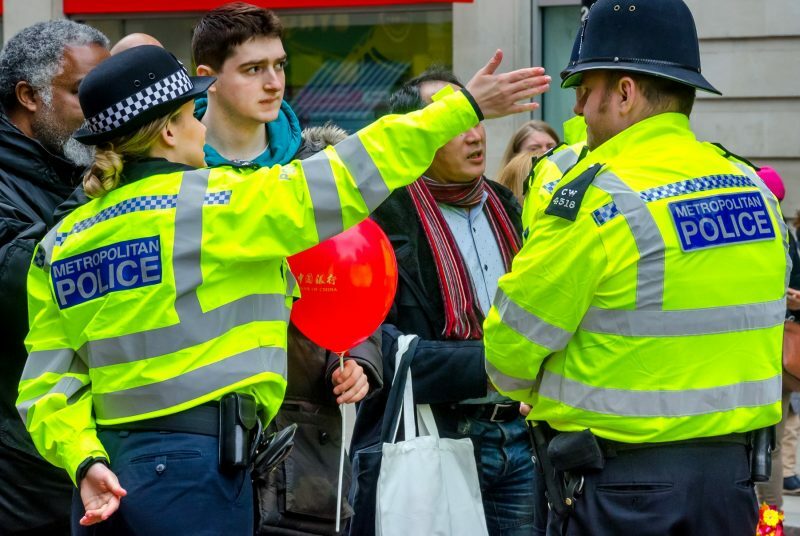 They clearly set out the role of the Police, their relationship to engaging and working with the public and how their success will be measured. Police officers are regarded as citizens in uniform with enhanced powers. They exercise their powers to police their fellow citizens on behalf of and by the consent of the people. So do I – as a citizen – exercise my voice in how the Police do their business? Of course. I vote. I campaign. I know my local Police and Crime Commissioner, whose role is to be the voice of the people and hold the police to account. I know my local Police Community Support Officers. I call ‘999’ or ‘101’ when I believe there is something that would benefit from their attention. And I employ these opportunities to inform the work of the Police as little or as much as I feel appropriate. But I am not a Police Officer. I am also not a teacher. I am a parent who has not particularly studied pedagogy. I therefore have little view on, for example, whether phonics are the best approach for teaching reading and writing. I will have a view if my child struggles to read and write at an age appropriate level. And at that point I would hope for appropriate avenues for dialogue. There are of course informed parents who will be able to provide a valuable perspective, and the system should encourage this. But my lack of classroom teaching experience should not preclude me from having a voice about the purpose of education, its role in our society and what therefore children should be taught. The how – personally I might leave to the experts, but safe in the knowledge that teachers are given the best tools and training to deploy the best approaches and that they are publicly held to account. I am not suggesting a direct replication of the interfaces between the public and Police, rather an education system that welcomes and enables active engagement of civil society, parents, children and other stakeholders in ‘what and how’ is taught. Imagine what we could do together when the teachers are the public and the public are the teachers; the teachers being only members of the public who are paid to give full-time attention to duties which are incumbent on every citizen in the interests of the development and enrichment of all children. Dr Matt Overd is one of the Founders of Every Child Should and a charity consultant specialising in theory of change, outcomes for impact and organisational and system development. He has overseen significant change programmes at British Red Cross and National Youth Agency and was part of the strategy team at Breakthrough Breast Cancer. He ran Dfuse Charity for 10 years and from his work here and in first aid and humanitarian action roles at Red Cross he has a particular interest in the role of the individual in the both personal and community resilience in the face of emergencies.